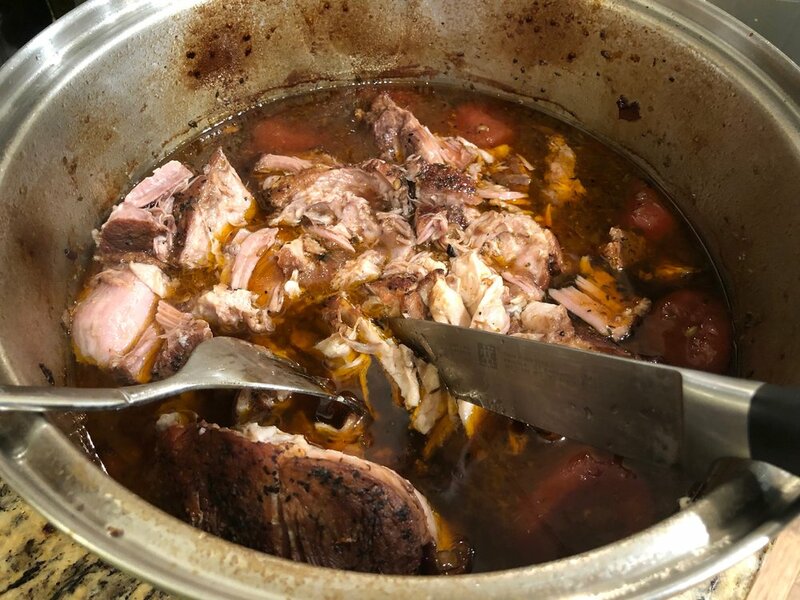 Pork Shoulder Ragu — Ginger writes. This is our family’s new favorite recipe for the colder months. It is comfort food that not only makes the house smell amazing, but also makes me feel like a real cook who now knows how to braise a piece of meat. 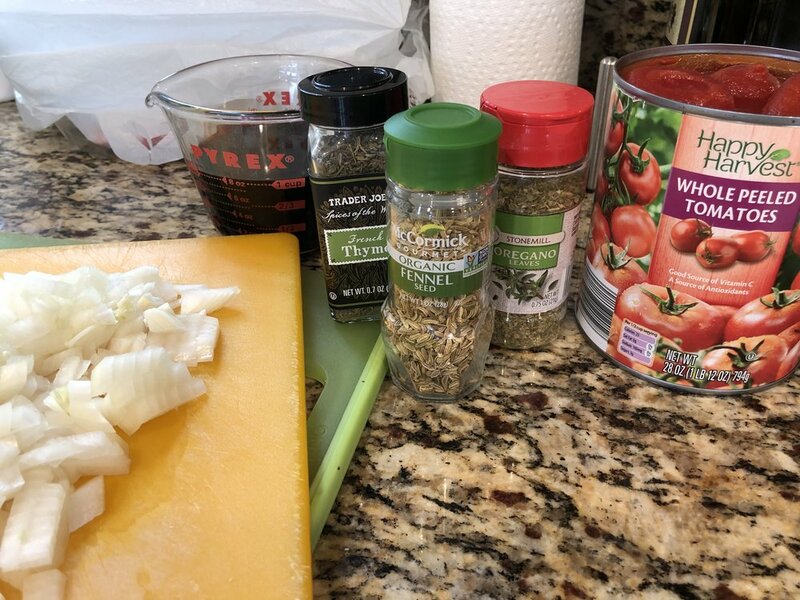 My friend Sarah Hamilton tipped me off to the recipe, and then I found out my sister Holly has been making the same ragu from the same recipe from Jenny Rosenstrach’s book Dinner: A Love Story. Holly said she makes the recipe for special occasions because it feels fancy, but I’m glad I didn’t realize that the first time I made it, or else it might not have become a part of our regular weeknight dinner rotation. Although I haven’t served the meal to guests yet, I am thankful to have added this meal to my repertoire. It will be perfect for company because it’s just a little bit fancy, but also very easy and very delicious. The one new ingredient I had to buy for the recipe was fennel seeds, and I understand now that they are the secret to this dish. Do not try to substitute or omit the fennel seeds. The first time I made the meal, we used egg noodles. Bauer wasn’t home for dinner that night, so it was a perfect chance to try the egg noodles since he can’t eat eggs. In my opinion, the egg noodles seemed too thick and dry for soaking up the juicy braised meat, so on my second attempt, I went with rice for the kids and cauliflower rice for me and TJ. That’s what has stuck and everybody is happy now. I like to serve roasted potatoes and carrots with rosemary and a green salad alongside the ragu. But maybe I can’t call it ragu since I’m not making it with pasta from here on out. 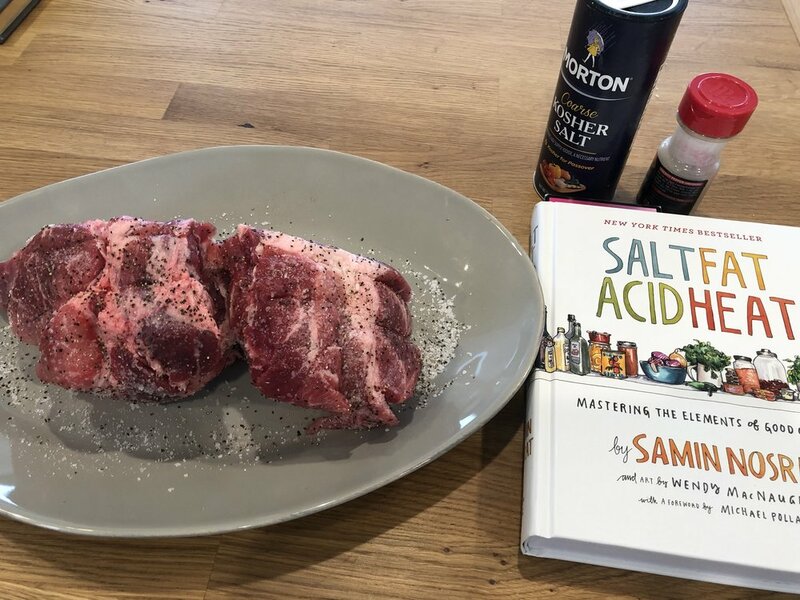 Besides taking on a braise, the other thing that has given me greater confidence as a cook is what I’ve recently learned in the book Salt Fat Acid Heat by Samin Nosrat. I have only read the Salt and Fat sections so far, but I found myself referring back to Nosrat’s admonitions on salt as I generously salted last night’s pork shoulder roast before cooking it. With both learning and cooking, there is no end in sight, and for that I am grateful.